Rabbit Toes Personalized Dinnerware - New! A huge thanks to Jessica who wrote in yesterday about Rabbit Toes - her fun and contemporary new line of personalized dinnerware. A new limited-production design is available each month! From her lovely 1884 carriage house in Minneapolis, Jessica creates designs to commemorate weddings, anniversaries and other events that you feel the need to highlight in your life. 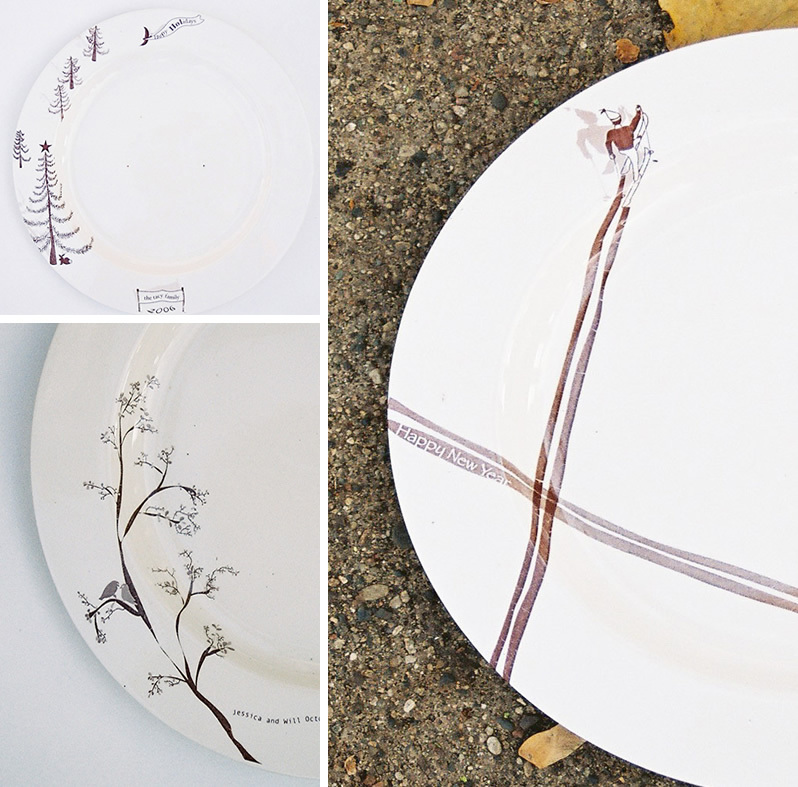 Each plate is made in Italy, but the custom design and application are her own creations. 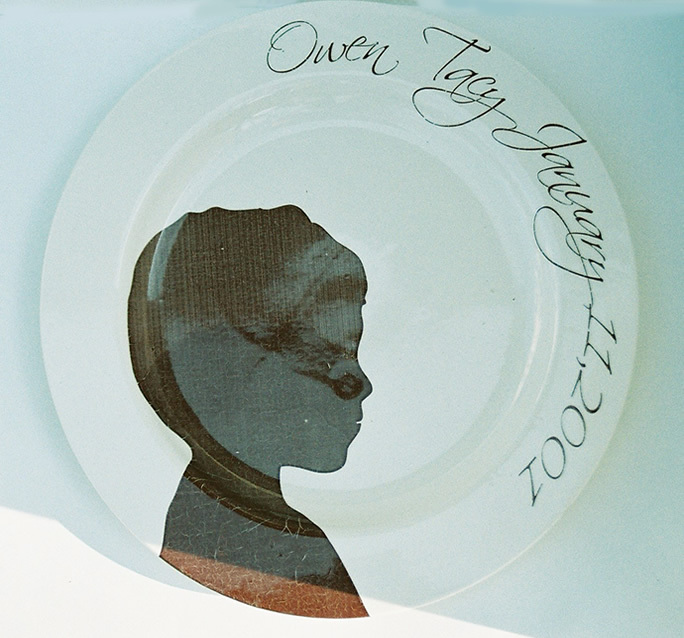 I'm in love with the silhouette plate - perfect for wall or shelf display, don't you think?